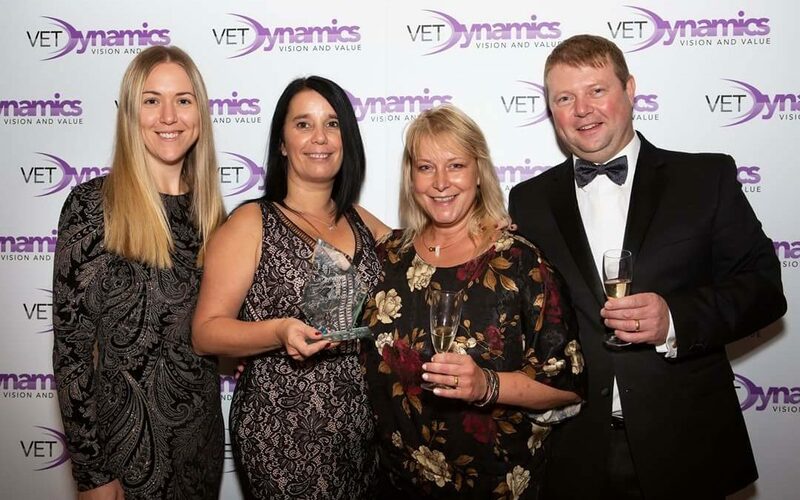 We are proud of our Platinum ‘Practice of the Year’ Award, received at this year’s Vet Dynamics Annual Conference Gala Dinner in Warwick. Vet Dynamics celebrate independent practices around the world, helping practice owners and teams to thrive. Dr Jan , Andrea, Jessica and Practice Manager Debs were at the Gala Dinner to receive the award on behalf of the fantastic team they work alongside at Animal Doctors.